You may think I am nuts showing you light bulb ornaments, but it has a coherent explanation. We put down our Christmas stuff after the Three Wise Men, but the storage room was so cluttered we couldn’t put the boxes there yet. As I am on a mission of decluttering the whole house, I put the boxes away in my craft room for a while. I don’t know if you have heard about the Konmari method, but I love it. You have different possibilities to read about The Life-Changing Magic of Tidying Up which is the title for Mari Kondo’s book, hardcover or kindle. 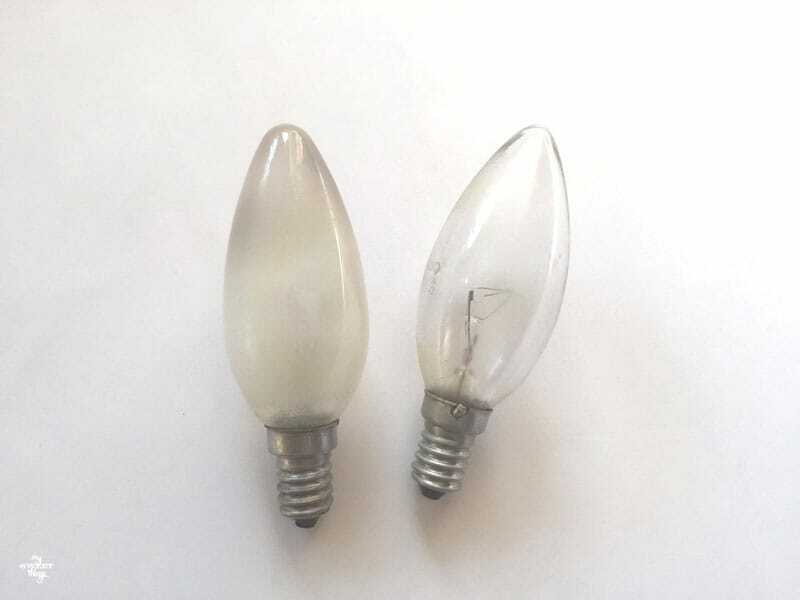 So back on my mission, I found some light bulbs I was keeping because I would have liked turn them into Christmas ornaments LAST Christmas but hadn’t had time. 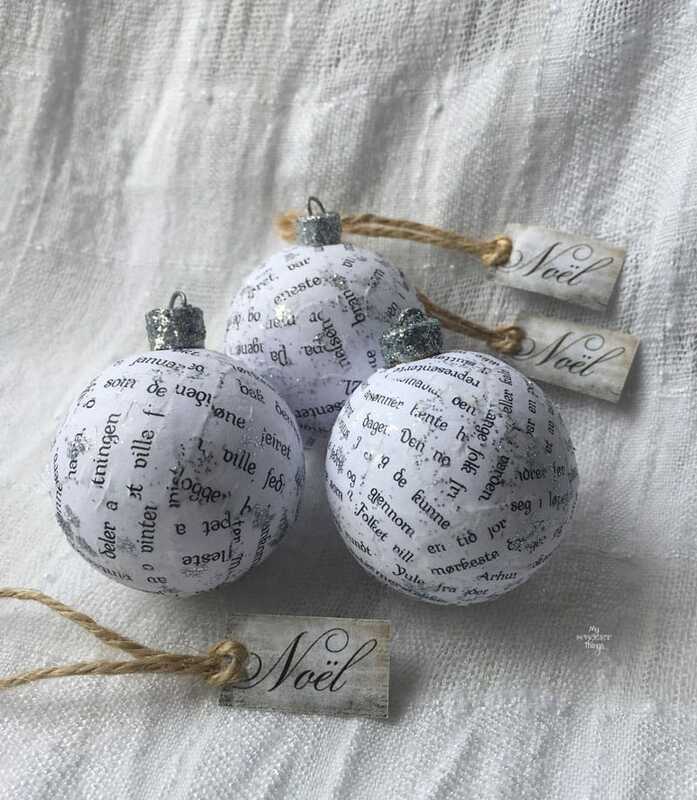 I was not willing to throw them away but didn’t want to keep them like plain light bulbs either, so my only possibility was to turn them into Christmas ornaments right now. As always, my girls were excited to help! We started with these two. And just a few supplies. Miss A brushed some ModPodge on it. 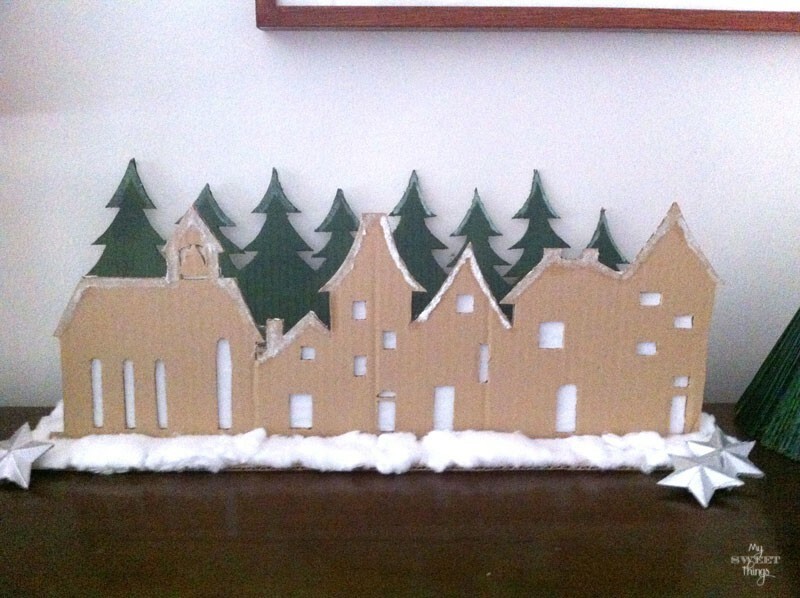 It works really well for this kind of projects, but if you don’t have it you can use some wood glue instead. And add some twine to hang. That easy!! What about you? Do you recycle as well to make your ornaments, or do you prefer to buy them? If you want to see more DIY handmade ornaments you can also check this and this. This post contains affiliate links, please read my Disclosure for more info. All expressed opinions are 100% my own, and all products selected were chosen by me. 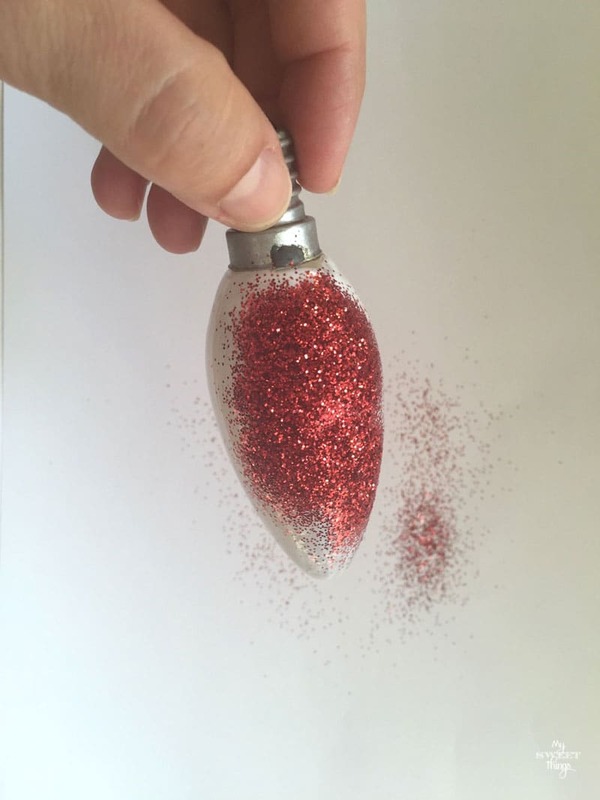 This entry was posted in DIY and tagged Before & After, Christmas, DIY, Glitter, home decor, Kids, Light bulbs, Ornament, Recycle. These are so pretty the way you have made them up. Like they are wearig their make up! 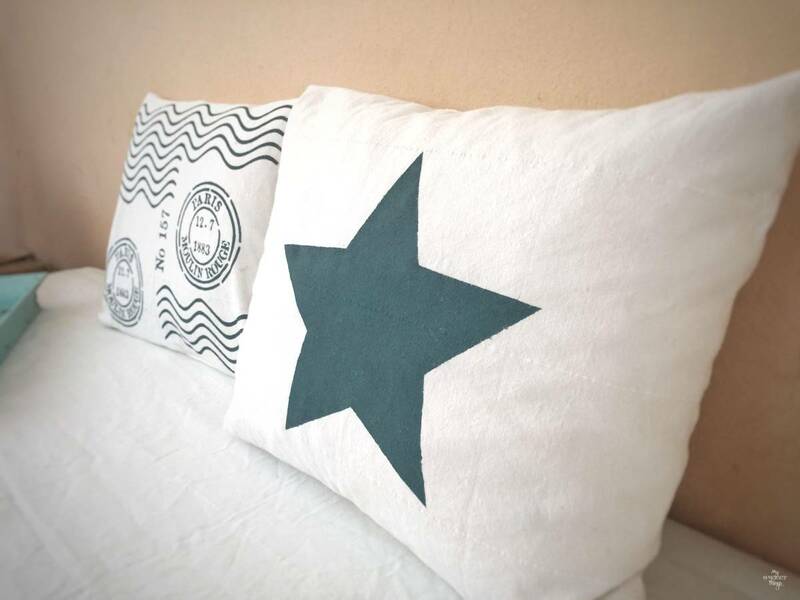 A great repurpose and it can even be used as decoration for Valentine’s day! Thank you so much Keri!! Aren’t they cute? The best thing is they are really fast to make and cost nothing! Hahaha, so funny to see the ornaments, you are super prepared for Christmas already Pili! They look really nice, I love the idea! The sign is so nice as well!!! Pretty! 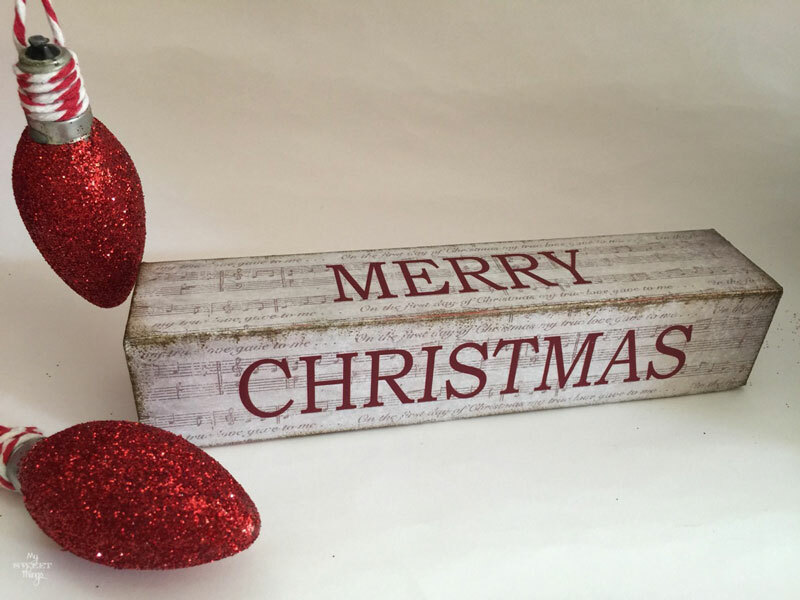 I love the idea of getting Christmas projects done early! I often have plans to do just that, but then the next thing I know, it’s December! how fun and how easy! I love the way your burnt out lightbulbs turned into lovely ornaments! You know, i think in the back of the cabinet I have some bulbs that look similar so I can make my own! woot! I can see you in the light bulb hunt, lol! So adorable…I think they are perfect for Valentine’s as well! 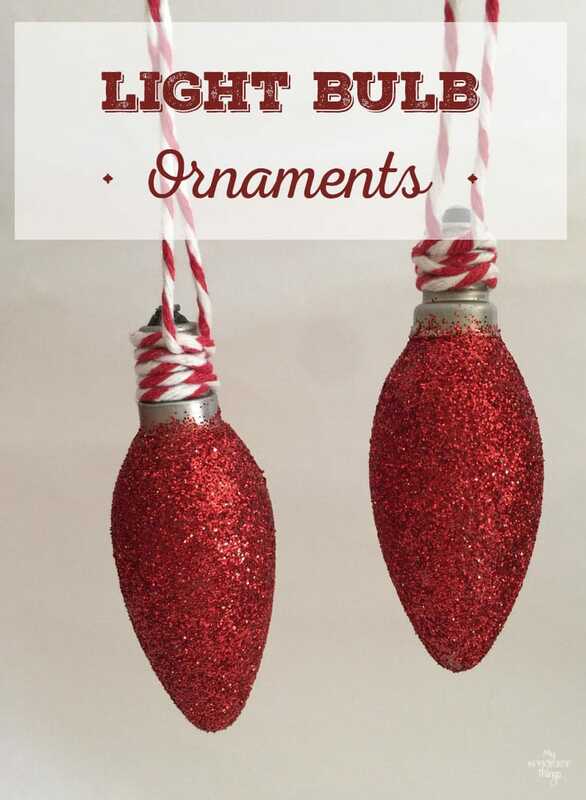 These are clever and easy to make ornaments. Thanks for sharing them at the Over the Moon Link Party. My pleasure, Sandy!! Thanks so much for hosting and visiting! What a perfect idea for the light bulbs that don’t work anymore. Thanks Pili for joining and sharing this at Cooking and Crafting with J&J! 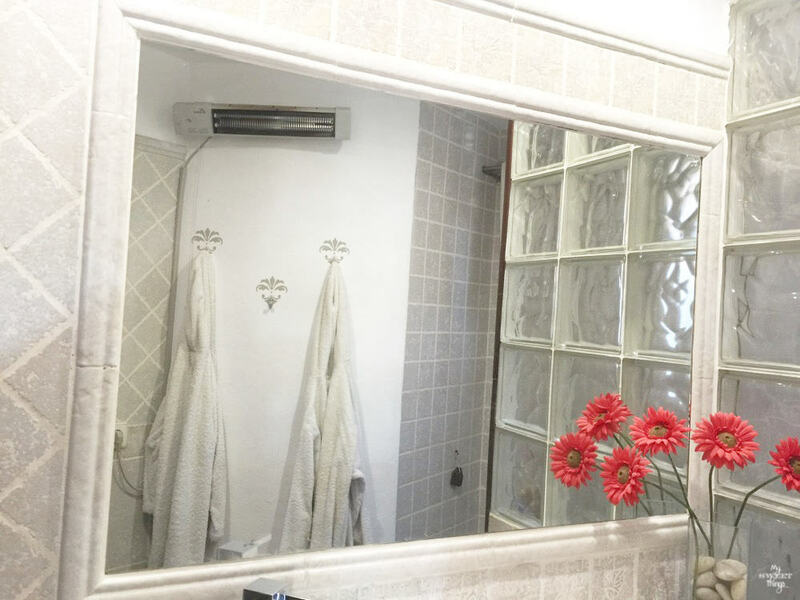 It is another way to upcycle things that are not useful anymore. Thanks for visiting, Julie! I just cleaned out and organized throughout January. What did I do? Tossed out some of these bulbs! UGH!!! I love this and wish I saved them because these are so adorable! 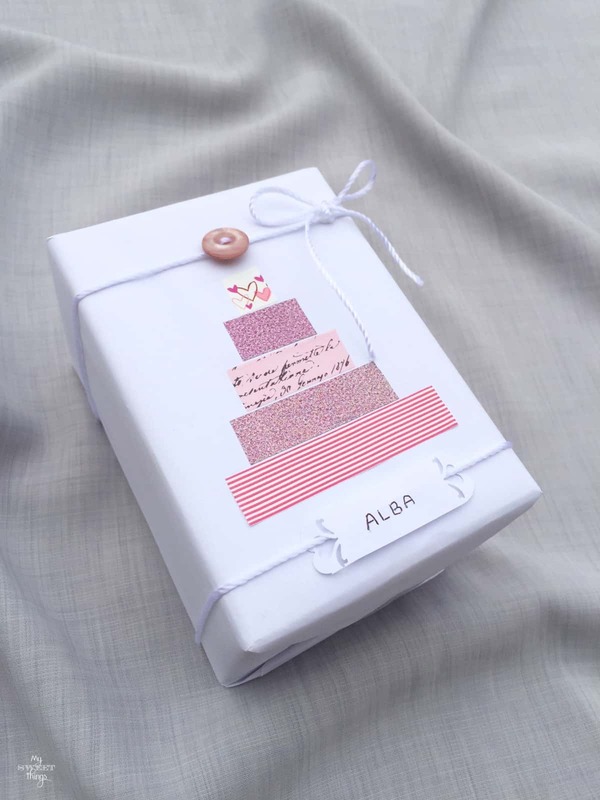 Thank you for sharing at Homemade and Handcrafted! It’s a pin for sure! I know that feeling, Robin!! The good news is that there are always light bulbs in a house, so sooner or later you will have some. I am pinning these to make these next Christmas Pili. I don’t know why I hadn’t though of this earlier, they look so effective but are very simple to do. I think these would be a very nice addition to my tree next year. 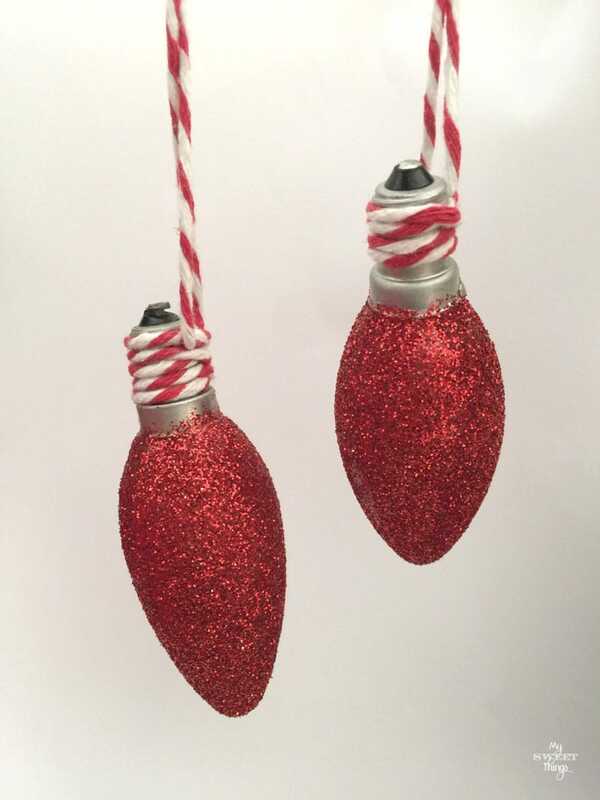 They are not the typical ornaments but I think they would look nice on the tree too! Have a wonderful week, Sally! 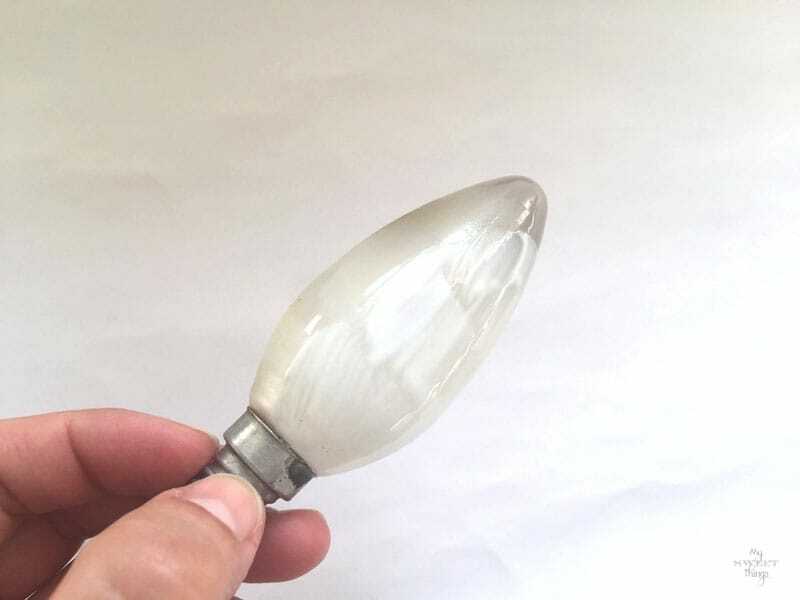 I have never thought about saving light bulbs and using them in the Christmas decor! These would also look great in a wreath. I think of all these great things I want to do for Christmas and then I forget, trying to complete them as I decorate, this is a great idea to complete them off season so it’s not such a rush! And they turned out adorable! Making a wreath using light bulbs sounds great, Nikki! I love to have a blogging “family” which always inspire me to try new things! Thanks so much!! Awww, thank you so much Mimi!! Good for you! Once the holiday is over, all the intentions I had of making things gets put away until the next year… and the cycle continues. 🙂 You are just ahead of everyone else in being prepared for next Christmas. 🙂 These turned out really cute by the way. Thanks for sharing and for partying with us at #TalentedTuesday. I love to make things not in a rush because then I stress myself and end up doing nothing. But eventually I am sure next Christmas I will have to rush anyway to finish some other things, the never ending story! These are too cute! I have an aunt that would wear these as earrings. 😉 Thanks for sharing at Your Inspired Design! Well, that can be another use for those light bulbs! Fashion earrings! I would be scared to do my own ornaments. That they might overheat or crack or something. They look fantastic! Of course if they fall they will crack lol, but as they cost nothing I wouldn’t worry too much. Glad you like them Stella! 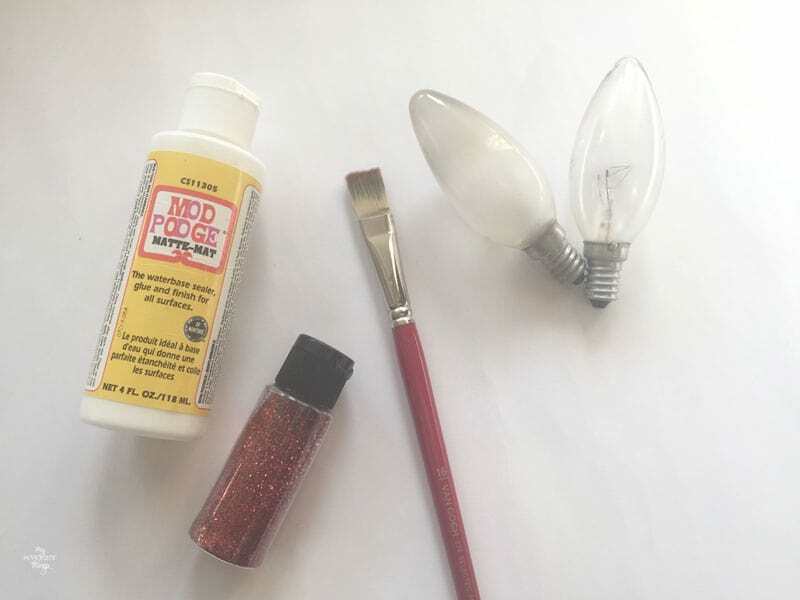 They are really pretty Pili and such a great way to re-purpose light bulbs. Far better than them ending up on some landfill somewhere. And that Merry Christmas sign, wow, super!!! !